Is your organization's Fall carnival coming up soon? Is your church or group having a Fall Festival? If so we have a great craft activity idea for your carnival booth. Sand art is a perfect craft for all ages. If you are looking for a fundraiser or even a giveaway, sand art is a proven crowd pleaser. We have many packages that are specific for Halloween or Harvest Festivals. We have supplied sand art to thousands of schools for their school carnival. 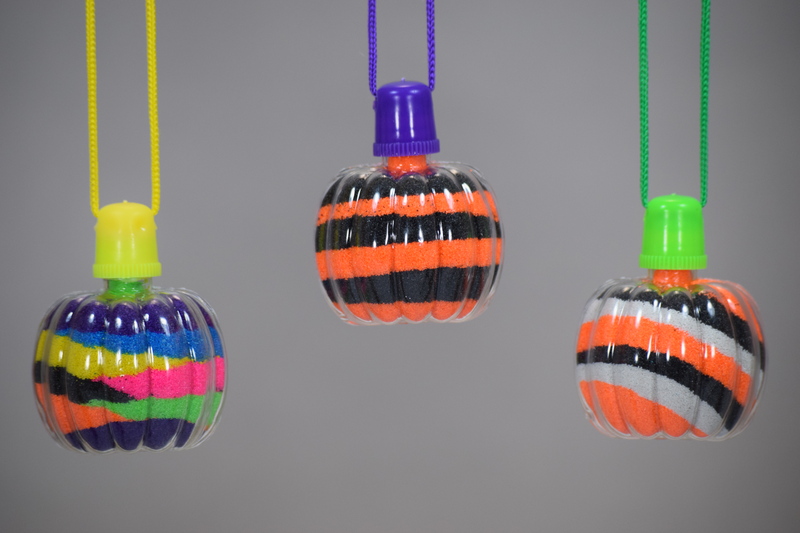 Our pumpkin necklaces are by far the most popular sand art package for these type of events. 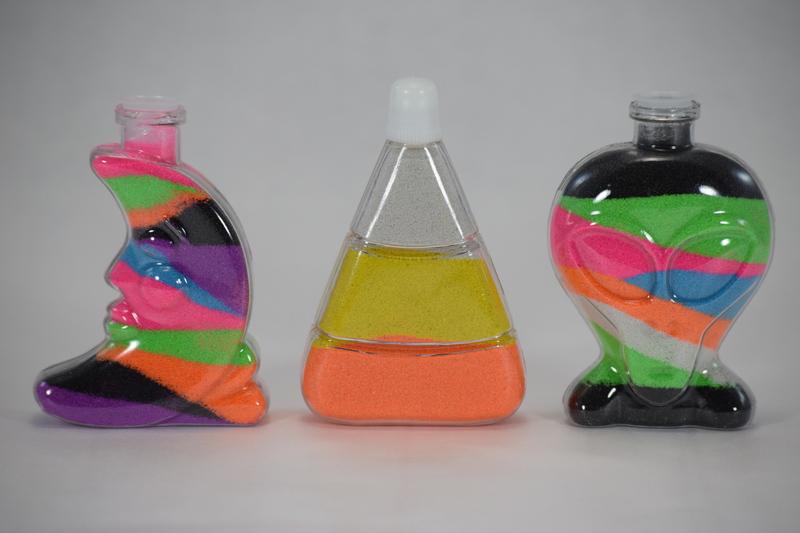 Every sand art package will include 8 different bright colors of sand, bottles WITH their cap or cork, and instructions. Just check out our specials page for some great deals! For groups looking to raise funds you can easily make three times your money by selling sand art. Many churches, and schools, are now hosting alternative "Harvest Festivals" instead of the traditional Halloween celebration. Our sand art bottles are perfect for these festivals. They are not scary. They are kid friendly shapes that don't reflect any wrong ideas. 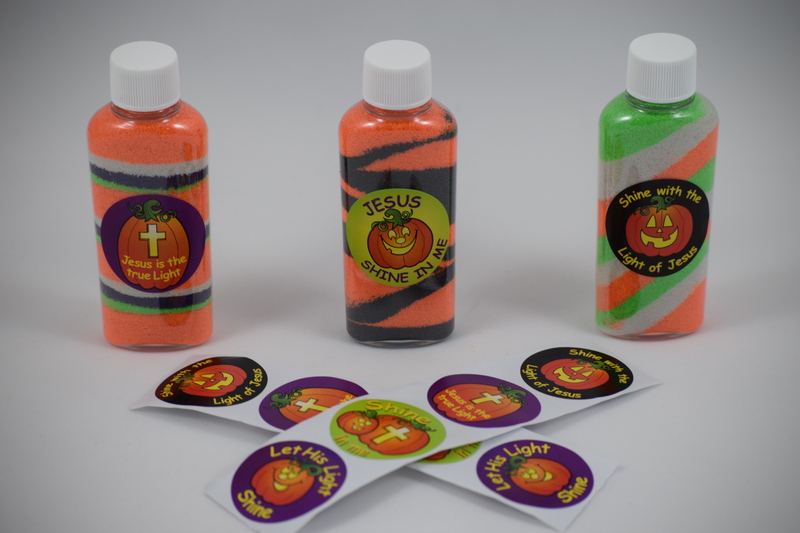 If your youth group, VBS, Sunday school class, or just about any other civic organization is looking for a great and inexpensive craft idea, then sand art is your best choice. Here is a list of groups that have done sand art in the past, cub scouts, girl scouts, Shriners, moose lodges, cancer societies, red hat ladies, boy scouts, Rotarians, Knights of Columbus, Jewish synagogues, VBS, churches, ball teams, elementary school carnivals, and on and on. Coloredsand.com carries other children's craft projects but sand art is really what we do. Give us a call 800-697-7263 or you can order online as well.